This Football Season didn’t go as well as some would have hoped but the one thing that proved constant were the leaders of the team were not going to give up until the last game was finished. Lamario Howard not only was key to that leadership on the sidelines of each game but he put it all out on the field playing on offense, defense and special teams. One of my first games this season I watched Lamario Howard and Nick Freeman torch Rialto High School for a combined six touchdowns. 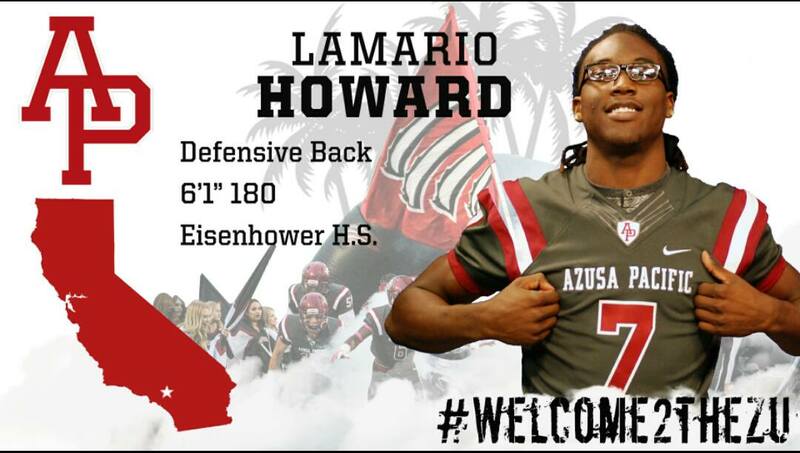 The head coach of Azuza Pacific University had this to say about Lamario at the signing day press conference. 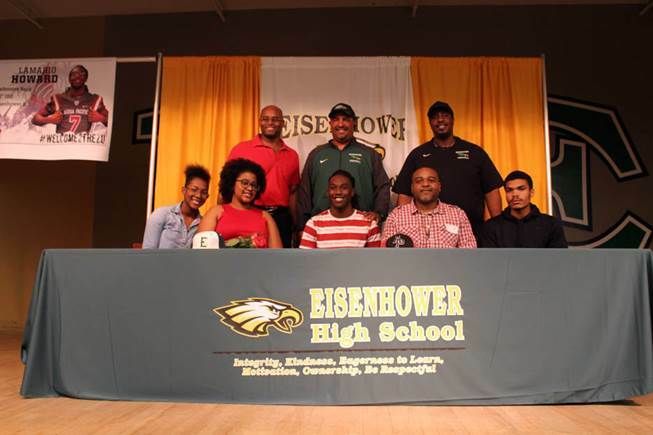 Eisenhower High School Principal Scott Sparks and Athletic Director Gilbert Pulido held a signing day event at Eisenhower on Wednesday where the education and sports community gathered to congratulate Lamario on this great day. The school is happy to see the leadership of new coach Al Brown producing talented young men that have the skills to attract the attention of Universities like APU. In our interview with Coach Brown he spoke to the importance of reminding student athletes the importance of hard work and dedication in the classroom and field. It is this old school approach that will continue to produce awesome young men coming out of Eisenhower High School.